A recent study from Spain’s Institute for Family Policies shows that Spain and Portugal have some of the most inflexible work policies in Europe. With 92 percent of workers in Spain reporting they “never work from home” it is not surprising that they are finding that the vast majority of workers, eight out of ten, feel their working hours have a negative impact on their work-life balance. Concern for Spain losing top talent and burning out workers has brought about some focus on how to start implementing more flexible working arrangements that would benefit both companies and employees. Read more: Spain has most inflexible working conditions in the European Union. 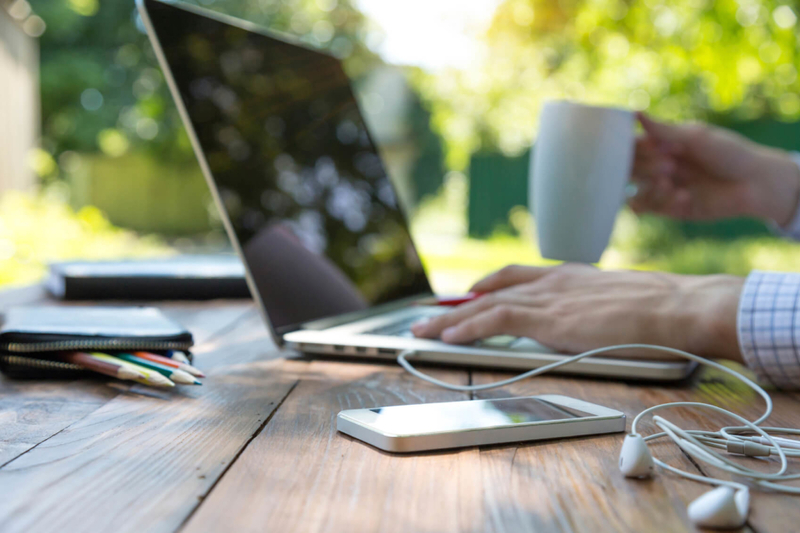 Telecommuting may seem like a new concept, but it can be traced back to a 1973 book called The Telecommunications-Transportation Tradeoff by Jack Nilles, a former NASA engineer. Examining how sprawl and non-renewable resources might impact the workplace landscape, Nilles predicted that a change in how Americans worked would be necessary to avoid a breakdown in productivity and access. Nilles also identified that management and cultural changes would be necessary for telecommuting, and emphasized that telecommuting would reduce vehicle miles traveled and diminish greenhouse gas emissions. Learn more: The Invention of Telecommuting. Many people who work from home simply adapt their existing living spaces to accommodate work, without specific considerations for what workspace would be most effective. Architects are starting address the need for blended work and office environments within the same space (“workhomes”), with modern designs that eliminate isolation, encourage collaboration, and allow people to effectively delineate their work time and personal time. Check out What the Future of Working at Home May Look Like. Many women in the U.S. find themselves starting their businesses to tailor their work to their family needs, but they are not receiving the same support as women entrepreneurs in other countries, and their vulnerability makes them less likely to take risks. In countries with social safety nets like paid family leave, women-led businesses are more likely to be bigger and more ambitious, and have a higher impact than those created by women in countries with less supportive structures in place. In the U.S., with our limited safety structure, female entrepreneurs are less likely to prioritize growth, which means they create fewer new jobs and can’t generate higher incomes. Read more: American women start their own businesses because they have no other choice. Paying off student loan debt can seem like a pipe dream, but by thinking outside of the box Erica Garza was able to do just that. Garza chose to move to Bali with a location-independent, telecommuting position, and as a result substantially reduce her overhead costs in order to focus on eliminating her debt. Garza shares how her plan allowed her to meet her personal, professional, and financial goals: I Paid Off My $52,000 Student Loan In Under A Year By Moving To Bali.